It's no secret that fruits and vegetables are good for you, but the price of fresh produce isn't nearly as good for your budget. To stretch your shopping dollars, look for a reduced-price rack at the grocery store. You can often pick up ripe produce for a fraction of the regular price. Like to make smoothies? Scoop up discounted bananas, and freeze them. Frozen vegetables are usually fresher and cheaper than anything that can be found in the produce and canned sections of the store. Cruise down the frozen food aisles, and you'll find big bags of veggies at bargain prices – sometimes as little as $1 a bag. Most foods can be made better and cheaper at home. Expand your cooking repertoire, and eliminate a lot of the sodium, sugar, and preservatives lurking in processed foods. Make your own vegetable broth, chicken nuggets, pizza, and bread. There are plenty of recipes for free on the internet. Dollar Tree sells more food than ever before, including refrigerated and frozen foods. 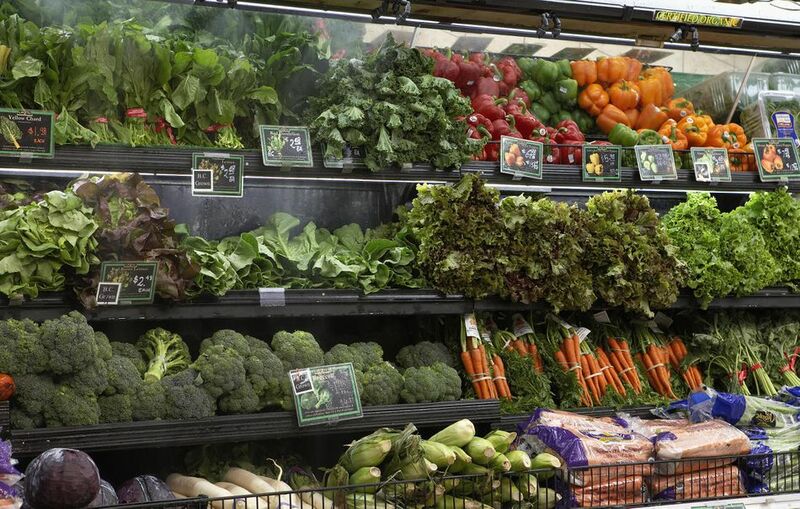 It's a great place to stock up on frozen fruits and vegetables, as well as whole-grain ​bread. Ask a cashier what days they get their bread deliveries, so you get there before it sells out. Fruits and vegetables are at their cheapest and tastiest when they're in season. Plan your menu around what's in season this month, and avoid produce department. Slash your produce prices even further by growing your own healthy eats. Start a plot in your backyard, or a container garden on your patio, and enjoy homegrown fruits and vegetables all season long. Like fresh herbs? Grow your favorites in small pots by the kitchen window, and take a snip whenever you need it. Pick your own fruits and veggies at a u-pick farm, and pay less per pound. Playing farmer for a day will also get you a fun outing, a bit of exercise and fresher produce than what you can find at the grocery store. Visit pickyourown.org to find farms near you. Then, round up some friends or family members for a trip to the farm. When you have your bounty at home freeze or can whatever you can't eat before it spoils. You can eat the preserved food all year round. Reduce your cholesterol consumption by substituting the eggs in baked goods with a tablespoon of soy flour. You can pick up a bag for as little as $2-3, and it will last you for quite a long time. Slash the fat grams in your cakes, muffins and other baked items by replacing the oil in recipes with an equal amount of no-sugar-added applesauce. It won't change the taste of your recipe, but it will change the healthfulness of it. If you're eager to find substitutes more unhealthy ingredients you can consider switching out butter, shortening, and lard. Sodium lurks in lots of foods, and it's just not something that your body needs a lot of. Limit your consumption by purchasing no-salt-added or low-sodium versions of canned foods. This switch won't cost you a dime, so it's probably the simplest switch of all. You can also substitute out bullion cubes or make your own low-sodium broth.